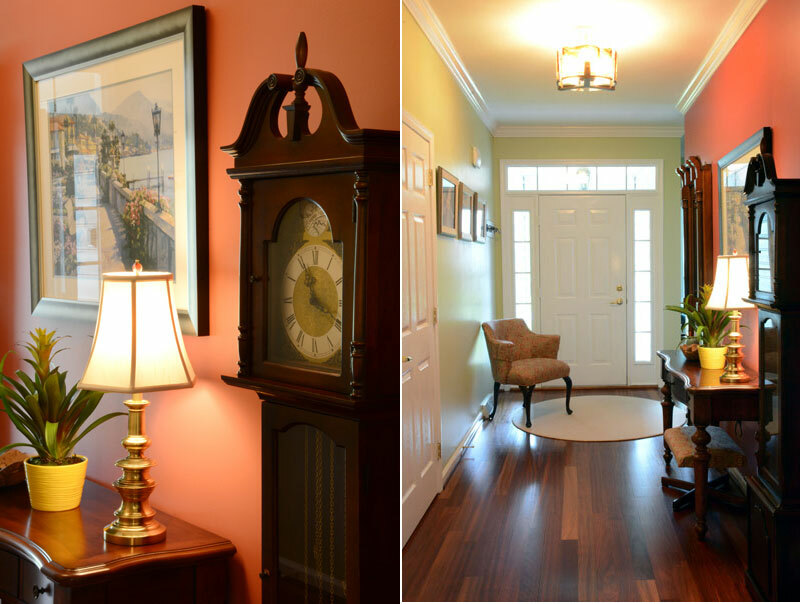 MONI’S RETREAT – Foyer | Rehoboth Beach, DEA Foyer says welcome, and sets the tone of your home! More importantly though, it pampers its owner. 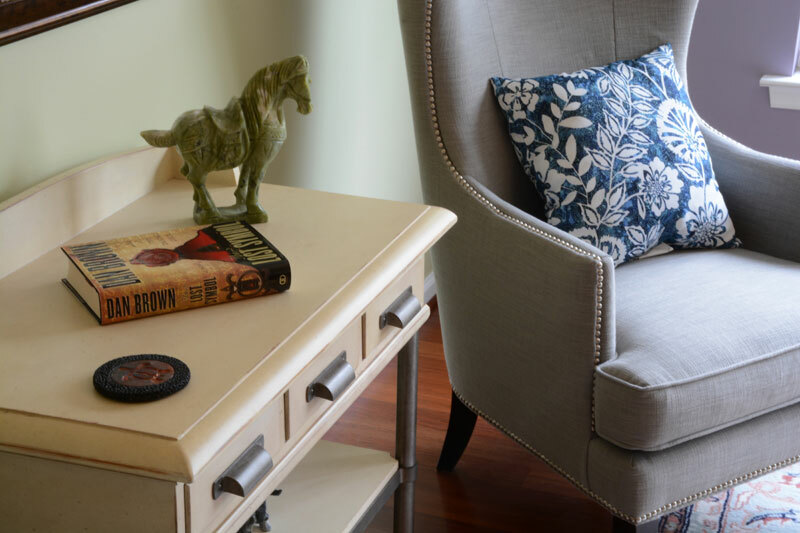 The full length appraise-yourself antique mirror, comfortable chair to change footwear, wall coat hooks, and its functional storage-friendly console, are all crafted for purpose, comfort, and beauty. MONI’S RETREAT – Foyer | Rehoboth Beach, DELighting is an integral part of all our designs. First, we invite and manipulate natural light. Then, we augment with artificial light for ambient, task and accents. 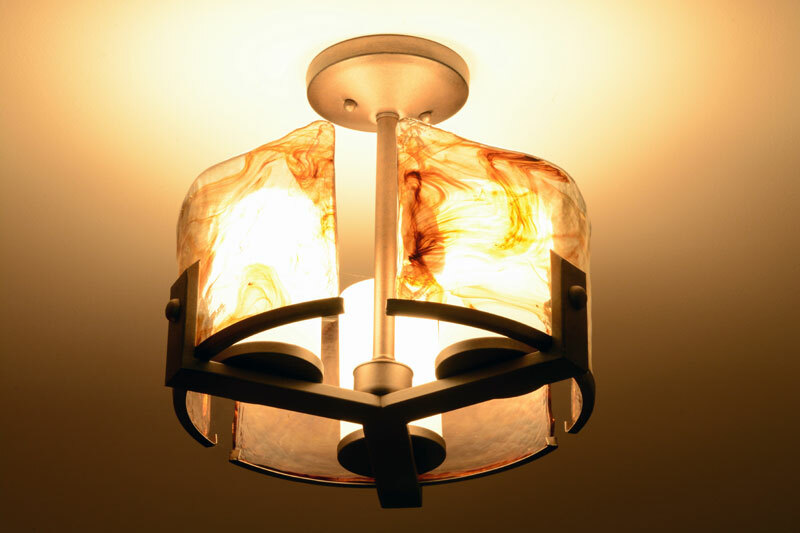 Yes: functional lighting can be an exquisitely beautiful part of your decor! 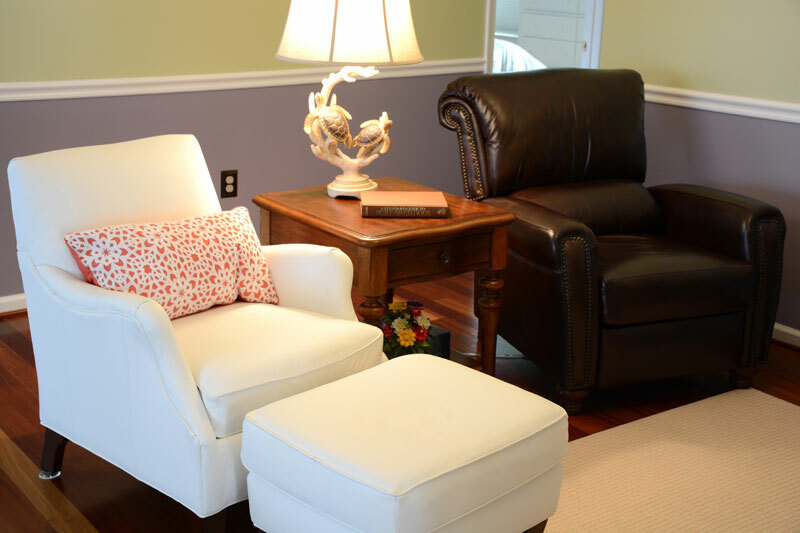 MONI’S RETREAT – Great Room | Rehoboth Beach, DEA chair isn’t simply a place to sit. Its a work of art – its history and craftsmanship that supports, pampers and hugs you. Every piece of furniture we selected was based on its sturdy construction, superior materials, comfort, style and details. 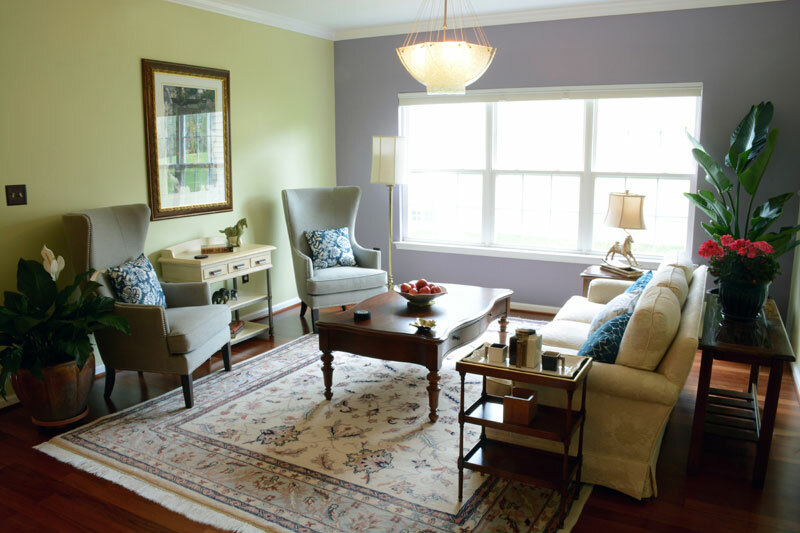 MONI’S RETREAT – Great Room | Rehoboth Beach, DEOnce a gray,dated and foreboding room, we manipulated light, color and texture to create a warn inviting environment for relaxing and social gatherings. This was inline with Moni’s desire for a fresh start, reflective of her resolve to enjoy her life as a widow. The sofa was retained for sentimental value. MONI’S RETREAT – Great Room | Rehoboth Beach, DEThe Living Room is a large rectangular room. We created two zones of activity. One for conversations, socializing and Moni’s charity meetings. The second for relaxation, television viewing and reading. From here one has a glimpse of the Foyer. 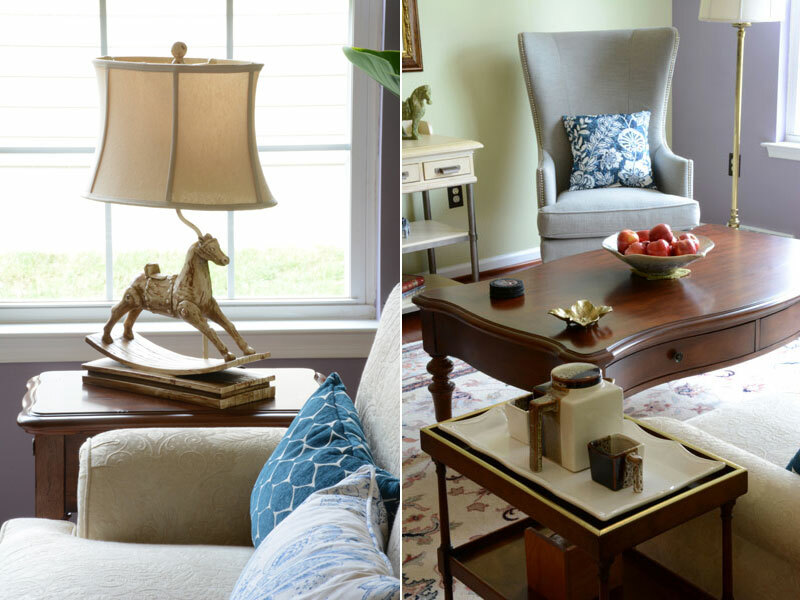 MONI’S RETREAT – Great Room | Rehoboth Beach, DEThe details are in the design! Moni is a lover of animals and was an avid rider earlier in life. Artwork, lamps, and objets d’arte were purposefully selected to celebrate this love and achievement, making her space uniquely hers. MONI’S RETREAT – Great Room | Rehoboth Beach, DEDetails in craftsmanship is signature to our designs. 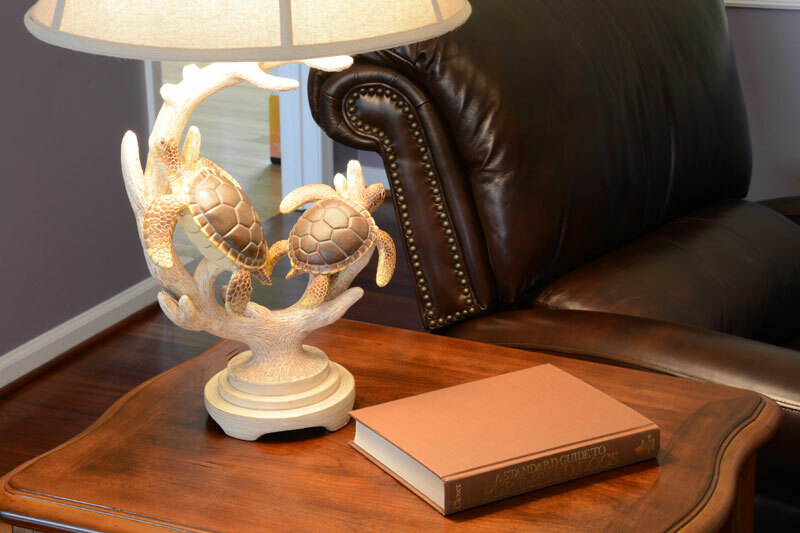 All of our choices mirror our clients and their lifestyles – from the use of natural materials to enhance home health, to motifs reflecting my clients love of the ocean. Yes, each environment is uniquely personalized. 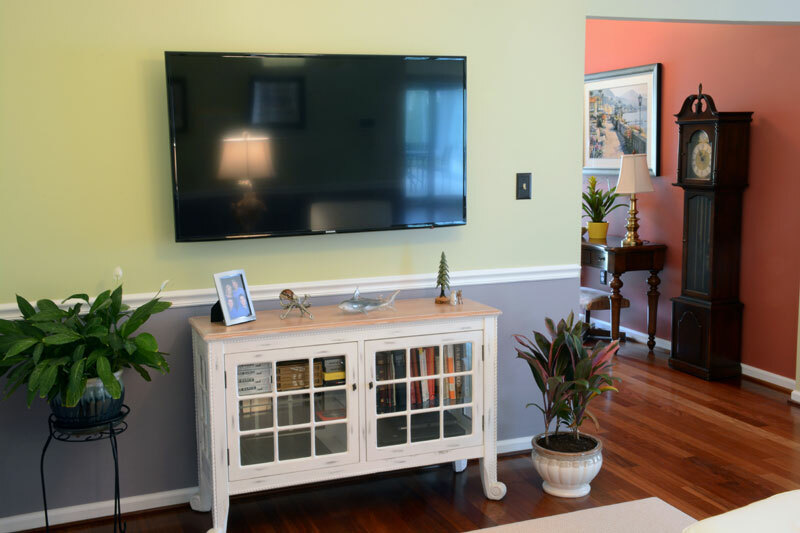 MONI’S RETREAT – Great Room | Rehoboth Beach, DEThe television reading area features very comfortable leather chairs, an end table and reading light. Moni favors each chair for different tasks. The brown recliner is utilized for reading and napping, while the white chair and ottoman are preferred for television viewing.